What if you could easily make better decisions? Enhance creativity? Slow down aging? You can. Simply by understanding your heart's intelligence — which has more impact on our emotions, our mind, and our physical health than was ever thought possible. And what if you learned that there is something you can do — potent tools that can channel your heart's intelligence — to live a healthier life with greater potential than ever before? Now, at last, the internationally esteemed HeartMath Institute shares its research and the revolutionary techniques relied on by prominent physicians and Fortune 500 companies. 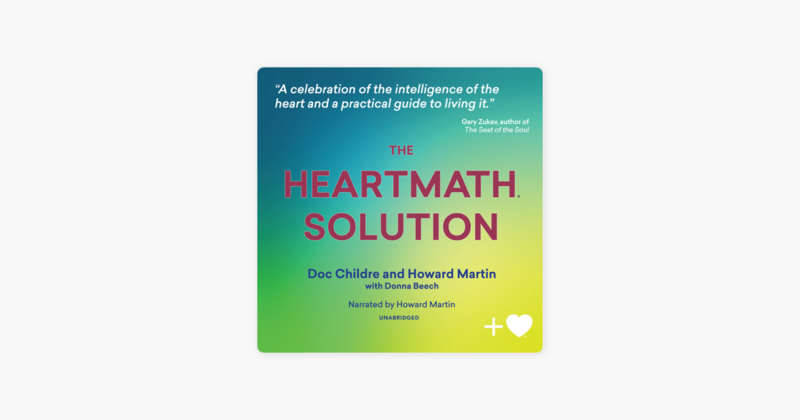 In this audio, the authors offer astonishing proof that the heart has an intelligence, one that profoundly affects our mental and physical health. They have proven that when the heart's intelligence is engaged, it can completely alter our heartbeat, blood pressure, and hormone levels. As our bodies react to stressful emotions, it often results in physical and mental imbalances. Heart intelligence gives us the ability to better regulate our emotions leading to improved health and enhanced mental functioning. The HeartMath techniques will show you how to deepen the qualities long associated with the heart — wisdom, compassion, courage, love, strength, and joy — to experience these benefits and more.